With all this noise, it’s easy to feel lost. To lose your grounding. To be repeatedly knocked off course, even as you’re doing everything you can to stay centered. To search endlessly outside yourself for the answer…consuming more and more in an effort to “shape up” or “fix” what’s wrong. Until one day you look up and realize…you don’t even recognize yourself anymore. That somewhere along the way–in the sea of other people’s opinions and ideas about who you “should” be–you’ve lost track of who you really are and what you truly desire. The truth is YOU are your greatest untapped resource, and it’s time to give yourself permission to rekindle the spark in your soul. It’s time to cut through all this BS that tells you who and how to be. It’s time to get back to the core, to unleash the gift that you are, and to rediscover your most sacred, most essential expression. Worrying about what others think to the point of paralysis? Going along with things that don’t feel good because it’s “easier”? Feeling fearful that voicing your thoughts and opinions will come across as “bitchy”? Experiencing shame about your body or your past experiences in your body? Dismissing your natural need for silence, stillness and rest in favor of pushing yourself to extremes to check things off your to-do list? Burning out as you try to keep up with everyone’s expectations, including your own? Indulging in addictive behavior to numb out, escape and keep yourself small? Depriving yourself of essential nourishment because you feel you don’t deserve it? Prioritizing others at the expense of your own wants and needs? Feeling overwhelmed by what it means to be a “good” mom, a “good” woman, a “good” daughter, etc? Racked with anxiety about “getting it right”?You’re not alone, sister. These are all ways we’ve been taught to hide who we are and to cover up our essential expression! Why living from your unique expression is important? Maybe you’re not sure what “your unique expression” is anymore. Maybe you’ve been suppressing it so long that you’re afraid to find out. Or maybe you’ve already got an inkling of how delicious you are and you’re simply looking to deepen into your next level of authenticity and vulnerability inside a sacred container. No matter where you are on your path, The Expressed Woman mini retreat is a doorway back to you, in every sense of what that means to you. It’s a sacred opportunity to slow down, tune in, and nourish yourself alongside redefining what expression means in your life from the inside out. It’s time to stop apologizing for who you are, and to step into your essential expression, and the way it moves uniquely through you. There is no way you “should” be. No cookie-cutter solution to life. As women, it’s the ability to be fully & authentically connected to yourself and to others that’s key to your health, happiness, and satisfaction. In other words, when you live your life expressing yourself fully in body, mind, and spirit, and when you give yourself the gift of connecting with others in community, you experience a freedom in every fiber of your being that brings you to life. walking through your day connected to the Earth (grounded and light in your being), and feeling self-assured and open as you meet your life experiences. wants to feel connected to the natural rhythms and cycles rather than feeling like she has to be a robot and on all the time; no more denying the natural fluctuations of her energy, body, mind. Get ready for a day of embodied learning and exploring, as well as restoration and relaxation, AND sisterhood! As women, we’re taught to believe that our needs can wait until later…that we’re only allowed to slow down after everything and everyone else is taken care of. We squelch our desires and isolate ourselves to keep others comfortable, cutting ourselves off from our own life force, and the power of community in the process. It’s time to wake up to ourselves…and to break free from all we’ve been taught to be and all we’ve been taught to hide. It’s my absolute passion to guide you towards rediscovering a relationship with your essential self, deeply appreciating your body, and playfully learning to listen to your intuition. I do all of this through a range of modalities: yoga, self-care, mentoring, journaling, coaching, and other tried-and-true practices, all of which bring you into connection with your sacred self. I believe – and have built my work around this belief – that it’s time for a new collaborative, feminine, embodied approach to life. One that allows you to create a way of living and moving that nourishes you, feels pleasurable, and brings you back to a juicy connection to yourself. In the personal growth industry, we’re often being sold the next best process to facilitate our happiness, and I’m here to tell you that that is not what this retreat is about. This retreat is about you reclaiming what’s already yours. It’s about you coming into the container of sacred sisterhood to rediscover what sacred expression means to you, outside of anyone else’s idea of what that should look like. 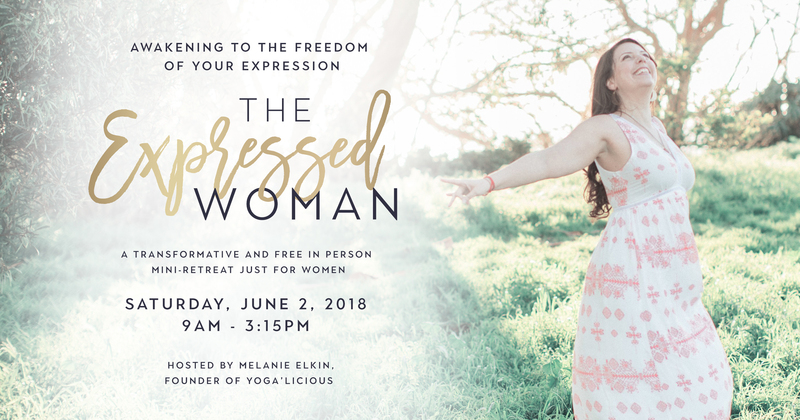 At Expressed Woman mini retreat you’ll get to come together with other like-minded women to reclaim your connection to your FULL self, and your sacred expression inside a day of embodied learning and exploring, restoration, relaxation, AND sisterhood! This day-long immersion is designed to nourish you from the inside out. It’s a space where you can be seen and heard, softening into who you really are. Throughout our time together I’ll combine my integrated approach of body-centered life coaching, feminine embodiment practices and rituals, journaling, sisterhood and sharing in safe space, yoga, and so much more to support you in deepening your understanding of your own expression. Regardless of what routines and rituals you choose to practice in your life, they won’t work if you’re simply going through the motions or “shoulding” yourself. Incorporating your unique essence and opening to the natural wisdom of your body and soul is the missing piece, and everything I teach is inside the intention of bringing you into deeper connection with that sacred self. Also I feel thrilled that throughout the day I will be weaving into our journey four amazing experts whom I adore, and whose incredible content will support you in deepening into the exploration I’ll be leading you through. These women are leaders in their fields, and each of them has a wealth of wisdom to share around embodying and nurturing expression in all its forms. Joining for these mini-workshops integrated into our work together will be an herbalist/apothecary owner, an acupuncturist/women’s cycles expert, a reiki practitioner, and a dance expert. At the end of our time together I’ll also be sharing ways to continue to your journey, if you’re feeling the call to learn more. It’s my intention that you walk away feeling empowered, inspired and connected to the core of who you are and what “living fully expressed” means to you. “The room of uniquely beautiful women gathered in a circle to introduce themselves and share what they were bringing with them and what they wanted to leave with. Some brought love and wished to leave with laughter, while others brought friendship and hoped to leave with acceptance. Each woman in the circle came from a place of vulnerability and open mindedness as they let themselves see and be seen by the other warm faces in the room”. 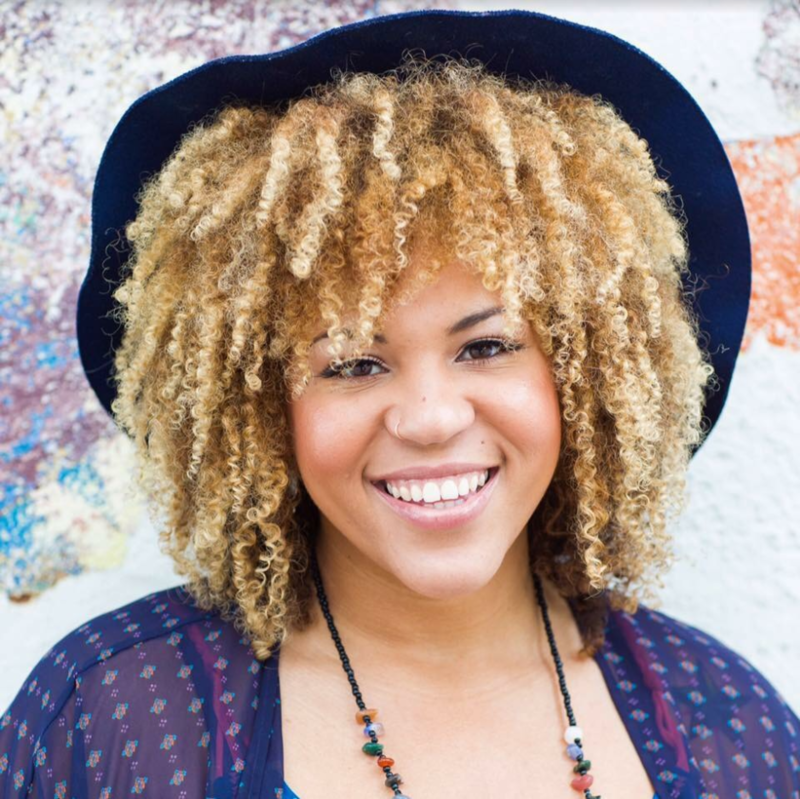 Ashley (Ashe) Kelly-Brown is a business entrepreneur, make-up artists, herbalist and peri-steam hydrotherapist. 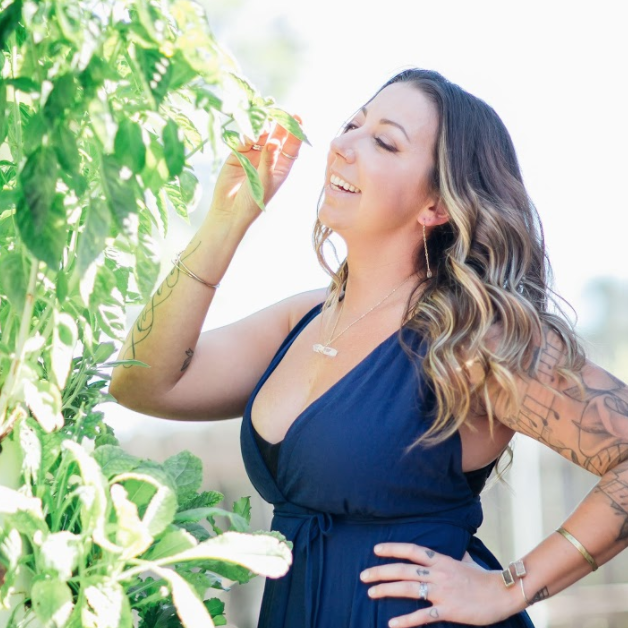 She and her wife are the owners of LunaBella Makeup and Hair.They are also the proud owners of the recently opened Pura Luna Women’s Apothecary, a plant medicine boutique store, event space, and healing center. 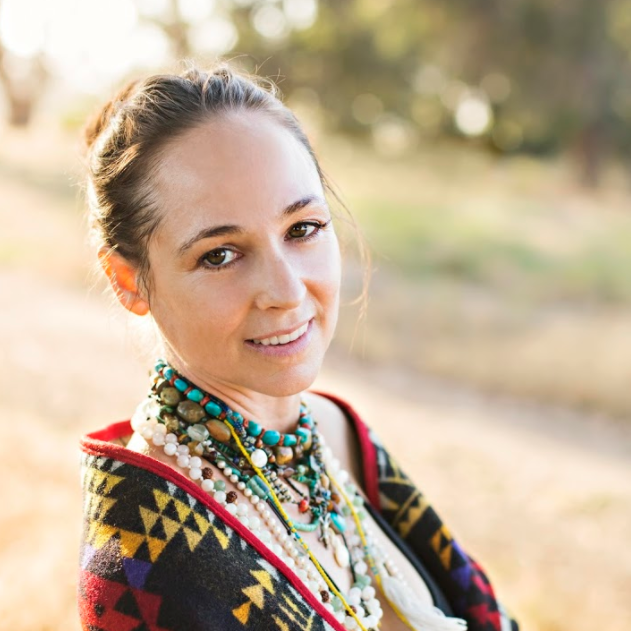 Her journey to holistic healing and alternative medicine came about from a desire to heal herself 7 years ago. She was introduced to the healing plants of the rainforest and their physical and spiritual medicine. The plants changed her life and after 3 years of trips to the jungle, she decided to learn more about plant medicine local to North America. In June of 2017, she received her certification as an herbalist from the Gaia School of Healing and Earth Education. 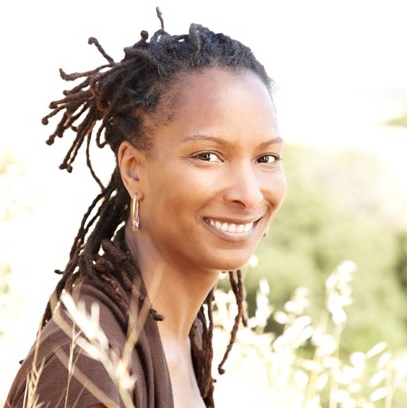 In addition to healing and learning from the plants, she took several courses in other healing modalities to aid her in her quest to help women heal themselves. Her focus on women’s health and wholeness has stemmed from a lack attention on the needs of women and bringing them back to matching their nature with nature. Pura Luna Women’s Apothecary is a part of her soul’s purpose and dream to create healing and sacred space for women. Danny Neifert was born on the Navajo reservation in Monument Valley, Utah where she spent a large part of her childhood. True to being a former white water river guide she believes that life is an endless changing river of adventure and the best way to understand something is to jump in and get dirty. 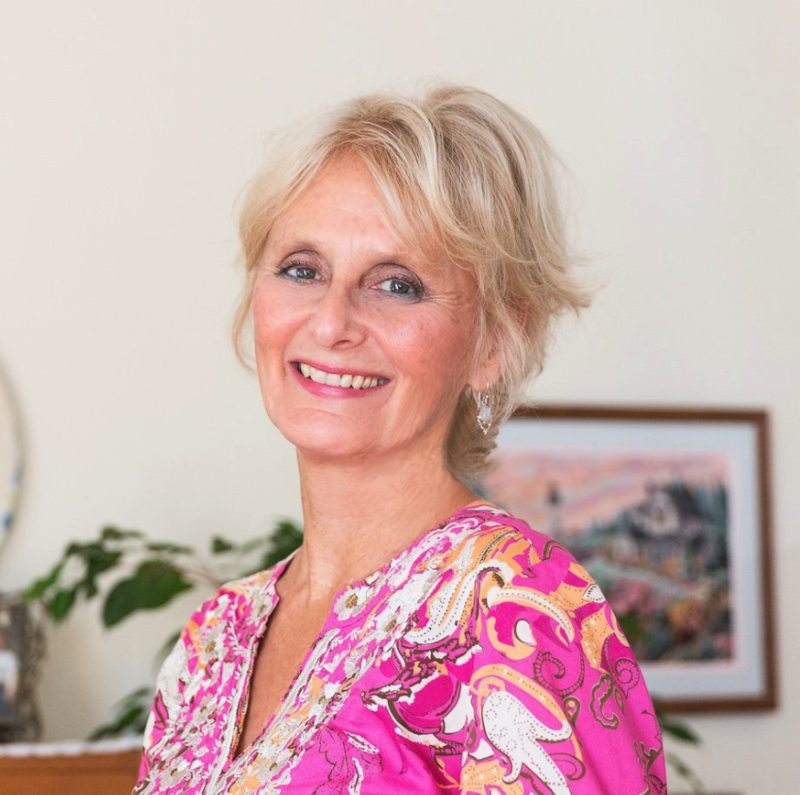 She has immersed herself within several communities over the years including The Society of Friends (Quakers), the Right Use of Will movement, a Gurdjieff commune as well as studying with Michaela Boehm since 2008 until present. Danny is a holistic solo entrepreneur (SkinHarmonics.com) and mother of two grown children, ages 24 and 27. She has extensive experience in sustainable home building, elder care, gardening, nutrition, death & grief, yoga, eating chocolate, bubble baths and off grid living. Jada is committed to helping people lead a healthier life, effecting positive change from within, which then radiates outwards. Her Transformational Abdominal Massage is a potent therapeutic remedy, resulting in improved physical, emotional and mental health. In 2010, Janet set out to combine her love of dance and her background in anthropology and humanitarian aid and started World Dance – a class that offers women of all ages and abilities a chance to experience the best of world music and dance while helping people in need. The classes are an oasis, a chance to let go, physically and emotionally, and connect deeply with other women and other cultures. Every penny raised from classes and donations goes to Rwanda, where Janet’s non-profit, World Dance for Humanity, is helping 9,000 people lift themselves rise from the ashes of the Genocide and build new lives. “Dance gives us the space and the spirit to find the part of ourselves where boundaries soften and disappear, where we are in tune with each other…and with the world. Dancing together, to intoxicating rhythms and melodies from Senegal to Spain, India to Ireland, Tunisia to Uzbekistan, we feel awake, alive, embraced and embracing. Through dance, we transcend ourselves and our separateness, stretching beyond selfhood with a shout-out of solidarity and soul, saying with our bodies and bright smiles to everyone around us: You are not alone! Dance, rise! Reaching our arms around the planet, to Africa, to a thousand hazy Rwandan hillsides still smoldering from decades of distrust and desperation…we witness, we embrace, we bring our hearts and our help, we rise together, we jump, we sing out. We dance our sisterhood! Lauren has been a crusader in elevating the lives of hundreds of women over the last 6 years. 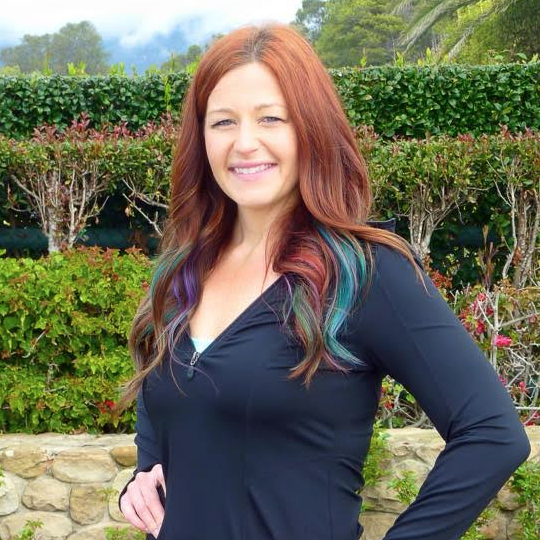 She is a Board Certified Health and Happiness Coach, Goal and Development Coach, a graduate of the Institute for Integrative Nutrition, co-founder of The Happiness Retreat, founder of The Wellness Vixen program and holds a BS and BA in Business and International Studies from CSU Humboldt. 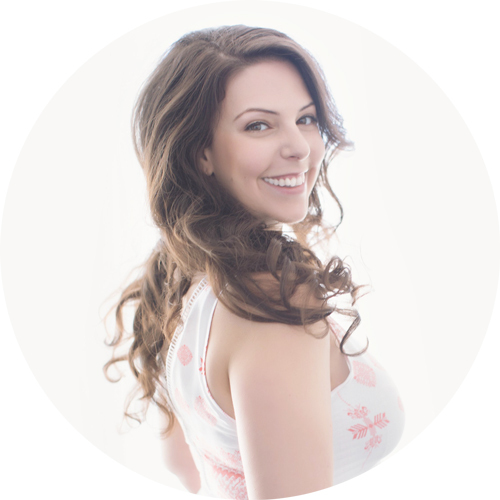 She has a variety of online courses and offers group and private coaching to teach women how to live their happiest life and love themselves through the art of goal setting. She’s passionate about setting and celebrating goals, traveling and living to support the local Santa Barbara community and environment. Live life #likeavixen. Genna Romero is a Jane of all trades, and happens to be the design eye behind creating a sacred space for our Expressed Women event this year. She specializes in creating and holding space for authenticity to flow, be it through her mindful movement business, massage, cake decoration, event decor coordination, group exercise instructing and enjoys all things crafty. Her speciality in event decor is her way of fully expressing her creativity, holding space, and bringing visions to life. She is also the owner of Mindful Movement with Genna Romero, where she coaches women back to their bodies and invites them to take up space through moving, stretching, and strengthening the body. Her passion is rooted in her own journey inward over the past decade. She is also a wife, fur mama, plantress, and life long learner. Please note that advance reservations ARE REQUIRED to reserve your spot and space is capped at 50 women! Also note: The Expressed Woman is a sacred journey from beginning to end-each exercise from morning all the way until the afternoon/ending weaving into the next. 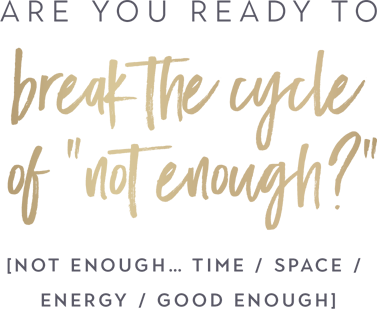 With that being said, this event is intended to be participated in from start to finish- giving yourself the gift of being present for the complete day – no rushing, no coming and going, just ease, spaciousness and the opportunity to receive it all! We need time and space like this regularly as a modern women in this fast paced culture-and it is my pleasure to hold that space with you! RESERVE YOUR FREE SPOT BEFORE THEY'RE GONE! When opportunities like this show up, I know how easy it can be to back away. You might be reading this and feeling “YES! YES! YES!” inside, and I imagine you’re human and you may have some of these thoughts, too! Check out what some of my previous and current participants have said. Q: I won’t know anyone. Will everyone know each other already? A: “A quality of consciousness that Melanie invites with her unique genius drew together a gathering of amazing, intentional women.” -A.L. Q: I don’t know exactly what I’m going to do there and I’m scared it might feel uncomfortable. A: “After attending Melanie’s [previous] event, Occupy Beauty, I knew that I had found my tribe: Melanie was speaking my language.” -G.R. Q: I haven’t done yoga in years. I’m not sure I even can. A: “She knows the mechanics of the body and gave me some invaluable tools – minor but mighty, that have helped my practice on the mat tremendously.” -R.S. | “Before working with Melanie, I was really uncomfortable, almost afraid, of being in my body.” K.D. Q: I have a hard time opening up with other women. Is this another way to feel left out or inferior? A: “Working with Melanie and gathering with incredible women who continue to inspire, offer friendship and create an undeniable sisterhood -that is love and pure magic.” -L.S. Q: What if I discover something new about myself and realize I want to make a big change in my life? Can I handle that? A: “I instantly connected with her warmth and sincerity and felt somehow changed for the better by those shared hours and I was excited about what might happen next.” -M.C. Q: Six hours? Can I really take that much time away from all the things I have to get done? A: “There is always so much to get done. That will never change. But taking the time for “me”, above anything or anyone else, not only sustains me, but nourishes me. I’ve learned this intentional time is now required for my health and well-being.” C.D. If you’re feeling a “YES!” I encourage you to follow it – trusting that you don’t need to know the why or the how. Imagine having me, and an expert team of women who can hold that space with you during this powerful immersive retreat. Imagine making new connections, being with women who really see you and get you. Imagine what could be possible in your world from the moment you leave. Be honest – if you don’t join us at The Expressed Woman, when will you create another opportunity for yourself to be in depth and in community? It’s time to respond to the calling. Stepping into your full expression is a shift from fear into joy, from isolation into community, and from suppression into freedom. You have a responsibility. You aren’t meant to hide who you are from the world. You aren’t meant to diminish your light. You’re meant to share it. THAT is your purpose.